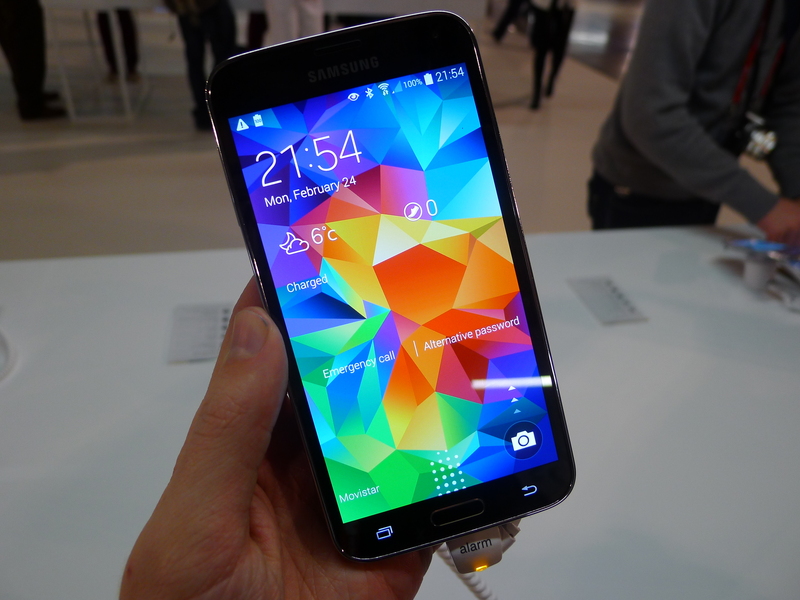 Samsung Galaxy S5 hands-on: Is the Heart Rate Monitor Just a Gimmick? 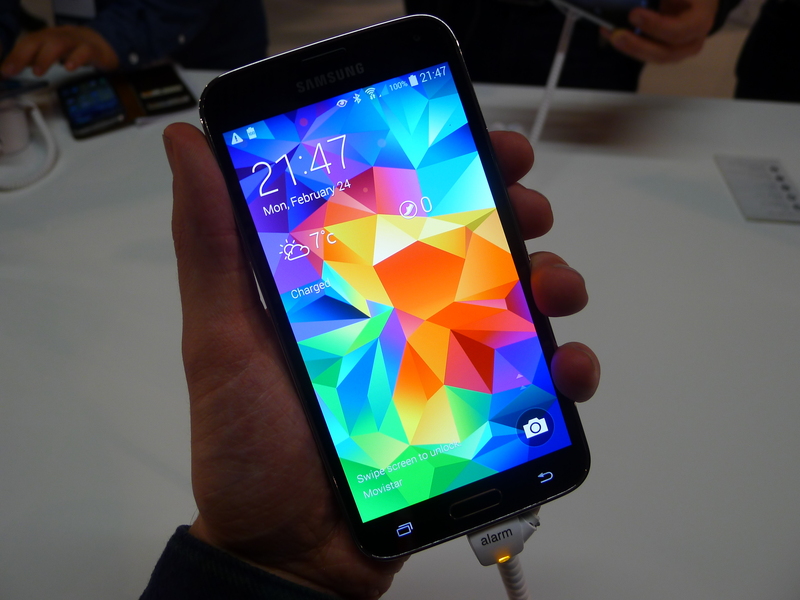 Samsung Galaxy S5 hands-on: Is the fingerprint scanner and heart rate monitor just a gimmick? 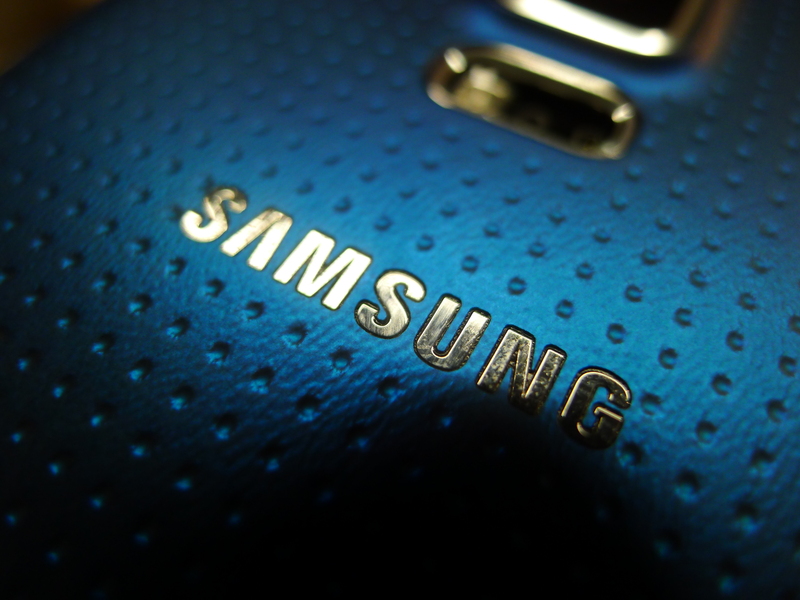 To date, Samsung has sold over 200 million Galaxy S smartphones. 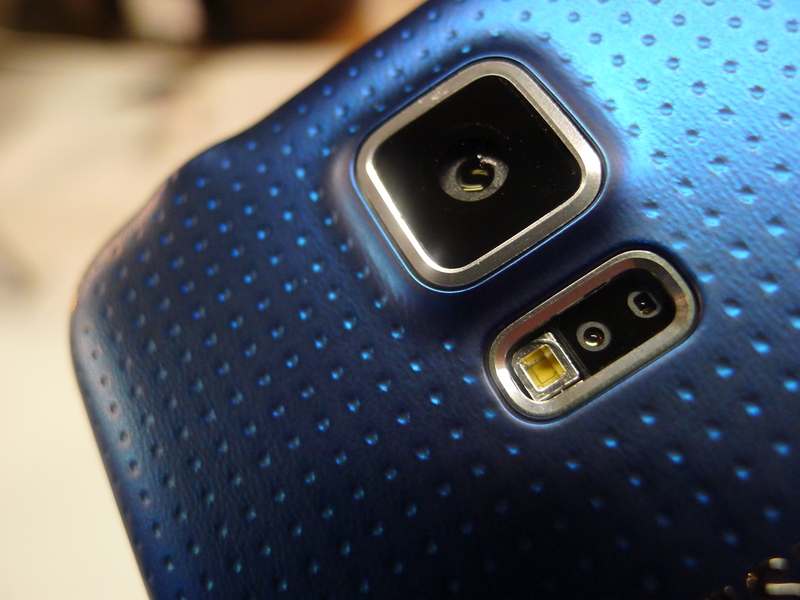 It’s a hugely popular product line, so for the Galaxy S5 it’s not a huge surprise to find that Samsung hasn’t strayed too far from the successful formula defined by its predecessors. 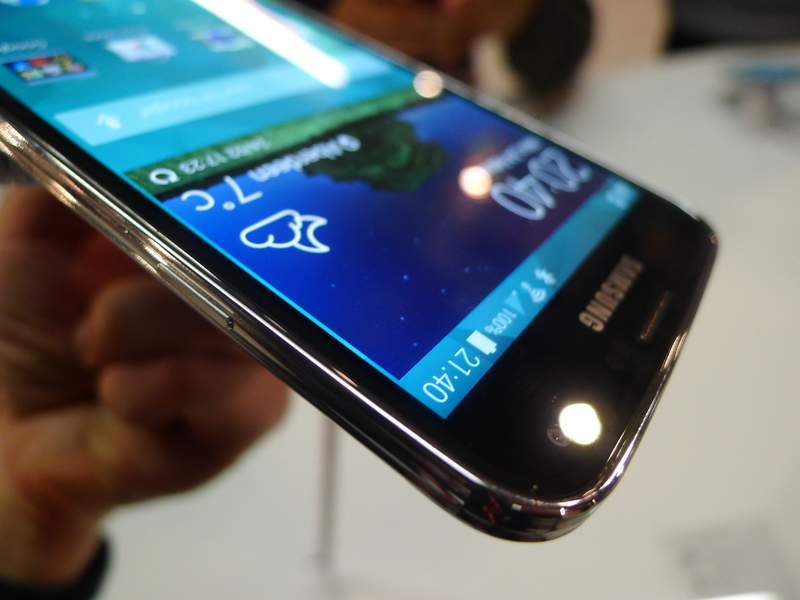 While the back of the device is certainly different – Samsung has opted for a dimpled, soft-touch back rather than the glossy plastic used for the Galaxy S4 – the Galaxy S5 is still instantly recognisable alongside its precursors. 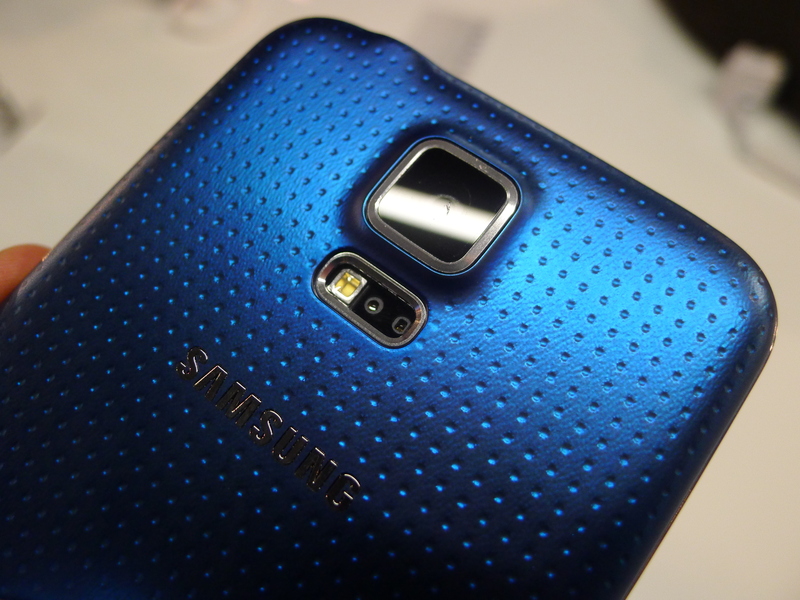 It’s a similar size to the Galaxy S4 and the button placement, curved corners and faux-metal plastic sides all feel rather familiar. It feels a little more durable than other Galaxy S handsets I’ve picked up in the past, but it’s still a long way off the build quality found in the majority of smartphones developed by HTC, Nokia and Apple. 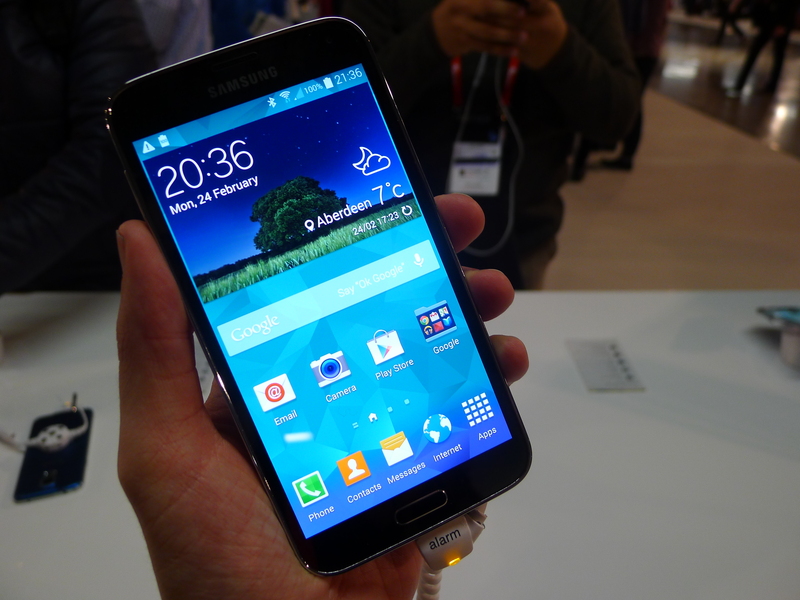 With a 5.1-inch display the Galaxy S5 feels fairly large in the hand, although it’s not quite as monstrous as the Galaxy Note 3. 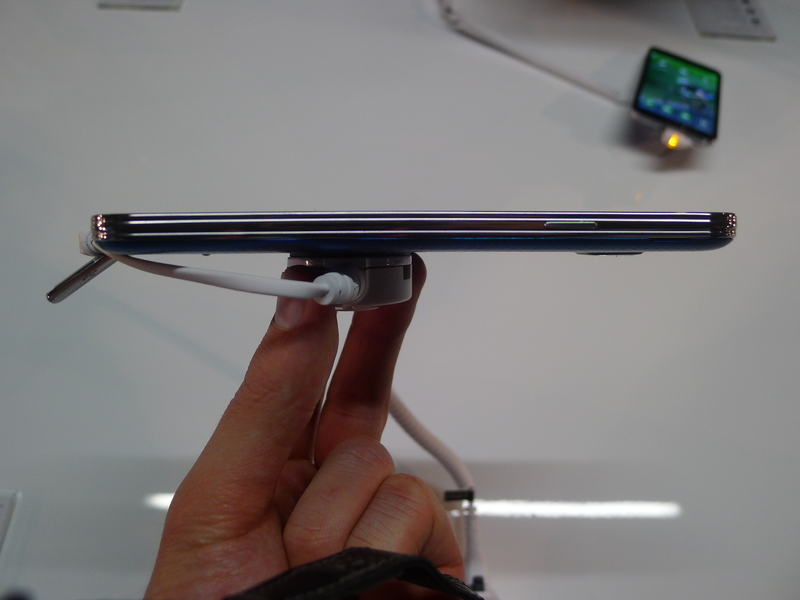 The new finish for the back of the device makes it a little easier to grip too, which should come in handy given its ambitions as a fitness tracker and coach. 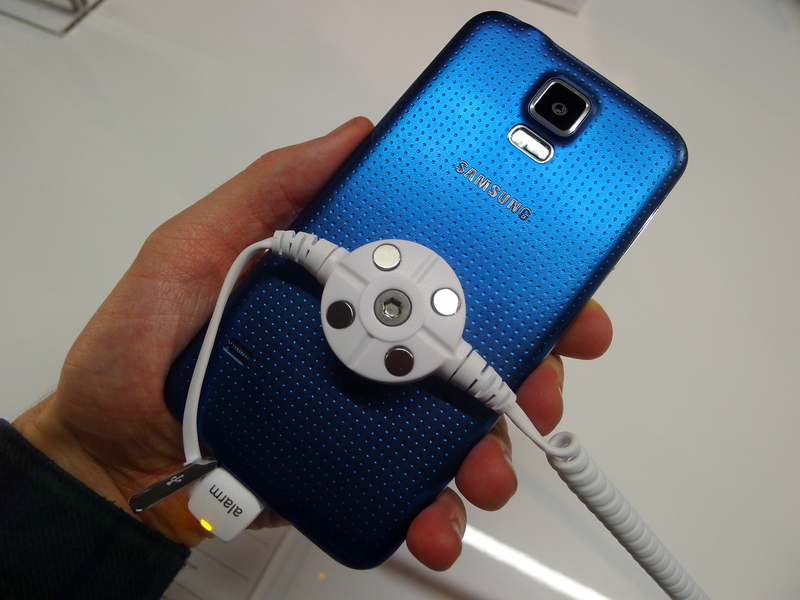 Although I was experimenting with the handset in a controlled environment, the heart rate sensor felt rather gimmicky. The readings are reliable and perfectly accurate, taking only a few seconds to complete. But as a regular runner myself, I started questioning when and why I would use this. On a daily basis, it just isn’t a metric that I need to see. I can’t picture myself running for the train, diving through the closing doors and then checking my heart rate to see how badly it’s fluctuated. The obvious use-case is physical exercise, but this is where the Gear 2, Gear 2 Neo and Gear Fit really shine. I don’t want to stop every five minutes and dig out my smartphone to use the hear rate monitor on the back – a wearable strapped to my wrist will always be preferable. 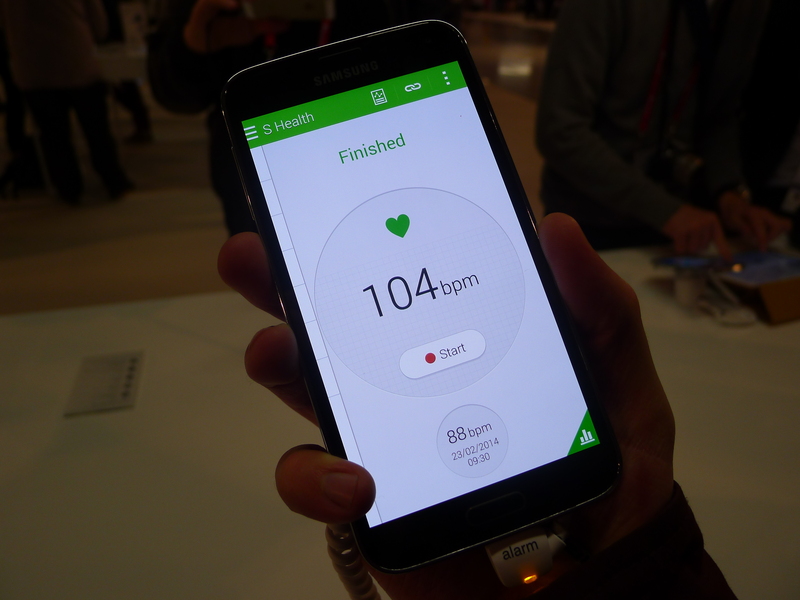 Regardless, the heart rate monitor works as advertized and if you think it’s appealing, this is a unique feature in the Android smartphone market. Although this feature is clearly borrowed from the iPhone 5S, I was impressed. 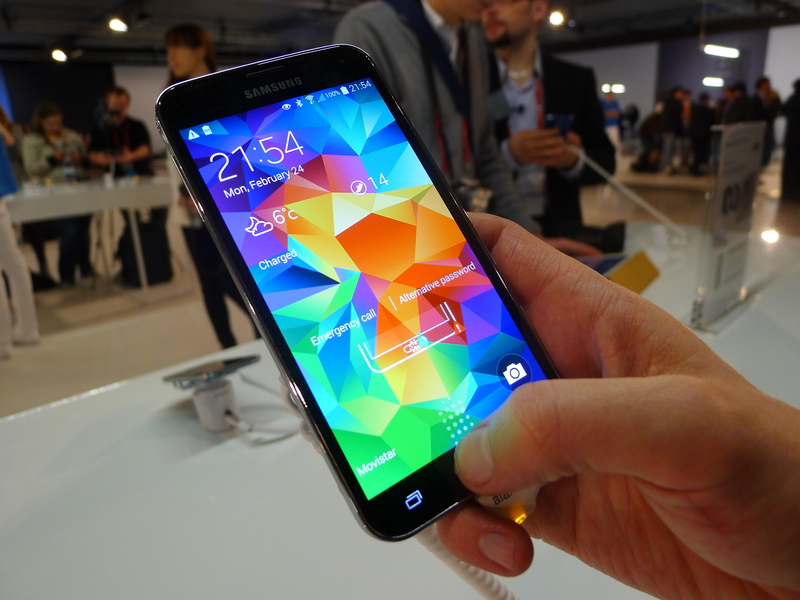 After swiping your finger across the home button seven times, the Galaxy S5 will store your fingerprint and let you use it to unlock the handset and authorize payments that would normally require a standard password. 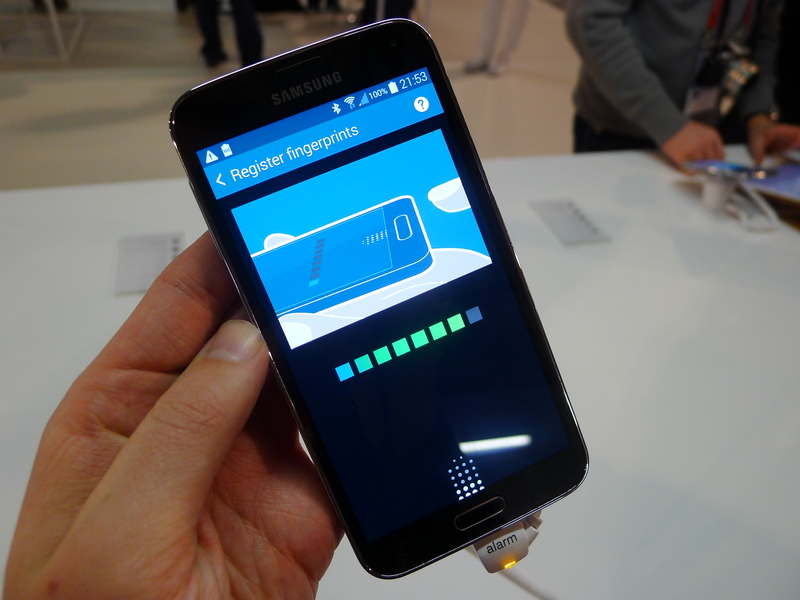 I didn’t try any of the supported services (I wasn’t able to set up my accounts during my hands-on time) but unlocking the Galaxy S5 worked perfectly. It’s a small improvement, but one that I know I would use multiple times a day. If every Android smartphone incorporated this feature, I wouldn’t be displeased. 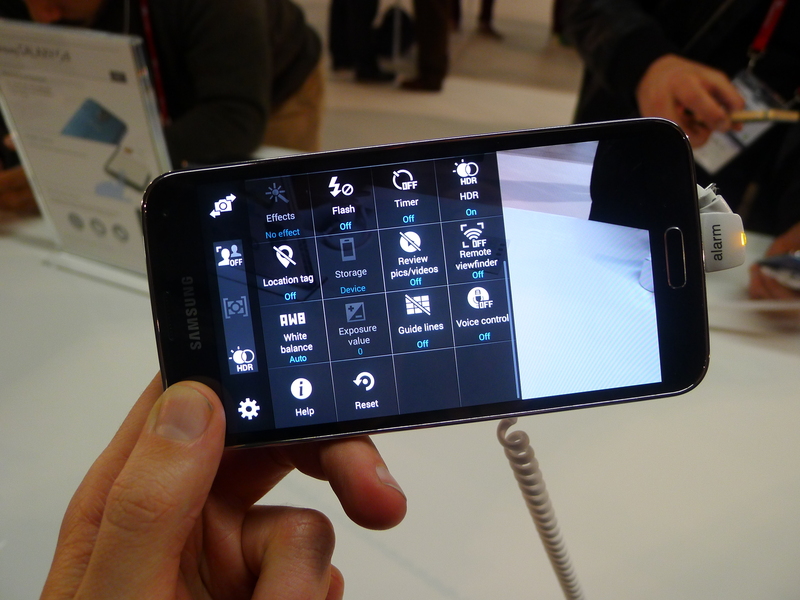 While this is still TouchWiz, Samsung has refines its Android skin considerable. It’s still too garish and bloated for my tastes, but the design does feels noticeably lighter and fresher than before. Icons are flatter and cleaner than before – this is a general trend in technology at the moment – and many of the menus feel simpler and better thought out than before. The camera in the Galaxy S5 was promising, although I’ll refrain from drawing too many conclusions before I’ve used it in a few different locations and lighting conditions. Images were bright and crisp, with a suitable amount of contrast, saturation and sharpness throughout. Some of the in-app camera modes felt a little superfluous – selective focusing seemed a little hit-or-miss – but at least the option is there for creative types. 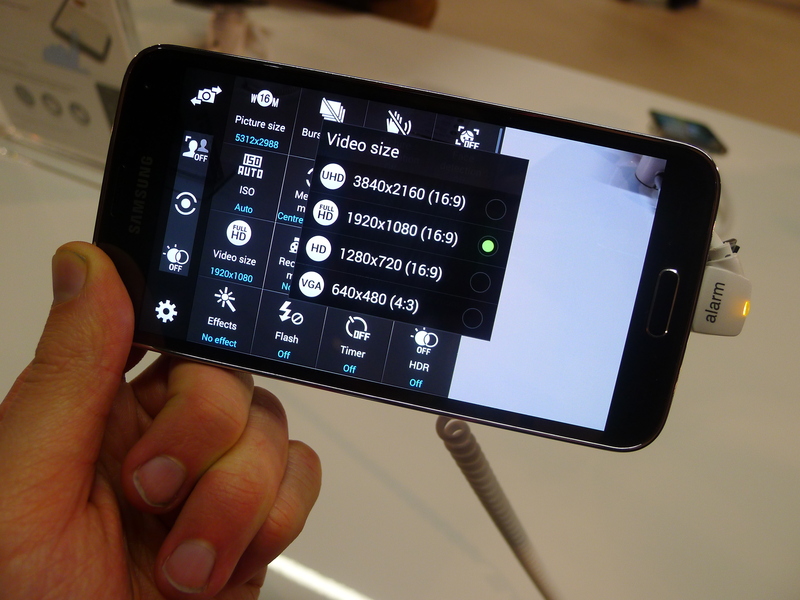 4K video recording has been brought over from the Galaxy Note 3 and I expect the performance across both is fairly similar. After sweeping across the show floor a few times, I was content with the footage it recorded. I’m not a professional filmmakers, but more pixels always seem like a good idea to me. 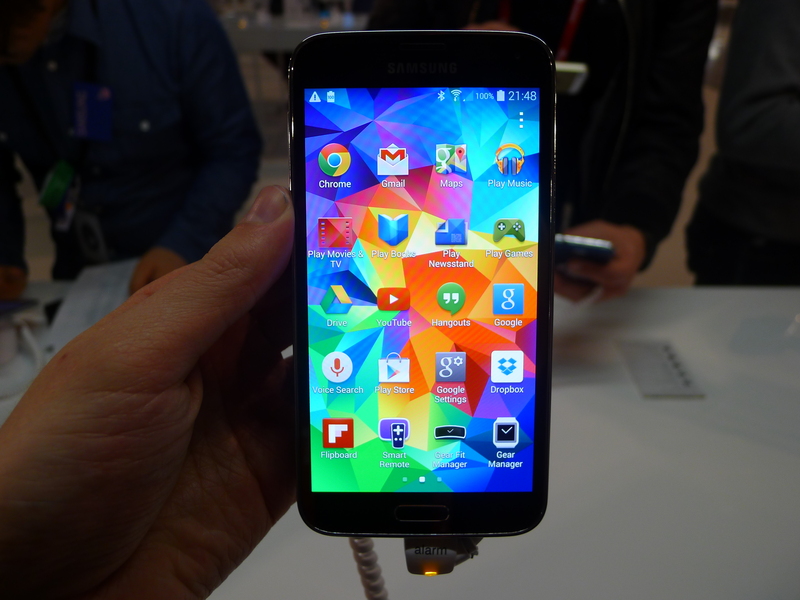 I wasn’t blown away by the Galaxy S5, but that’s not to say it’s a bad device. 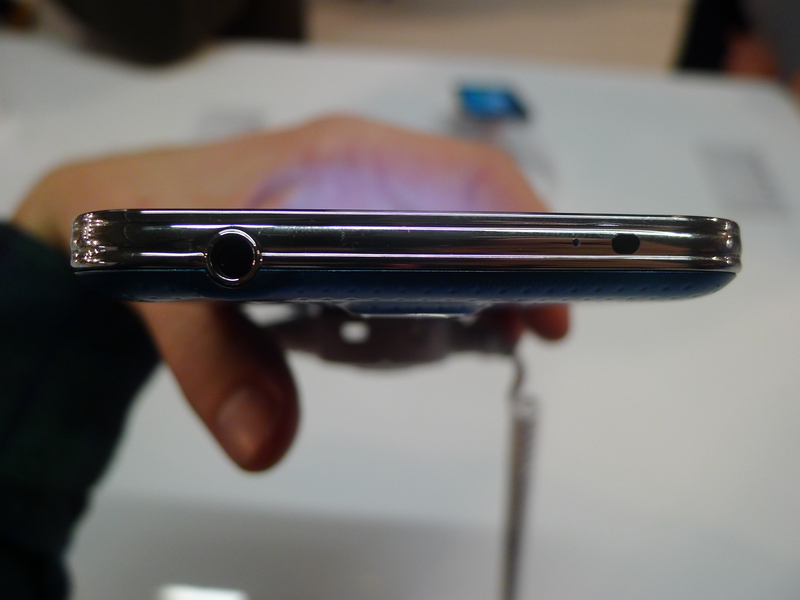 It’s a powerful handset and both the fingerprint scanner and heart rate monitor are unique for a high-end Android smartphone, given you’re actually interested in using them. Samsung’s fresh take on the Android experience is an important first step and it’s nice to see an end to the slippery, cheap plastic backs that have plagued older Galaxy S handsets. Another year, another refinement. 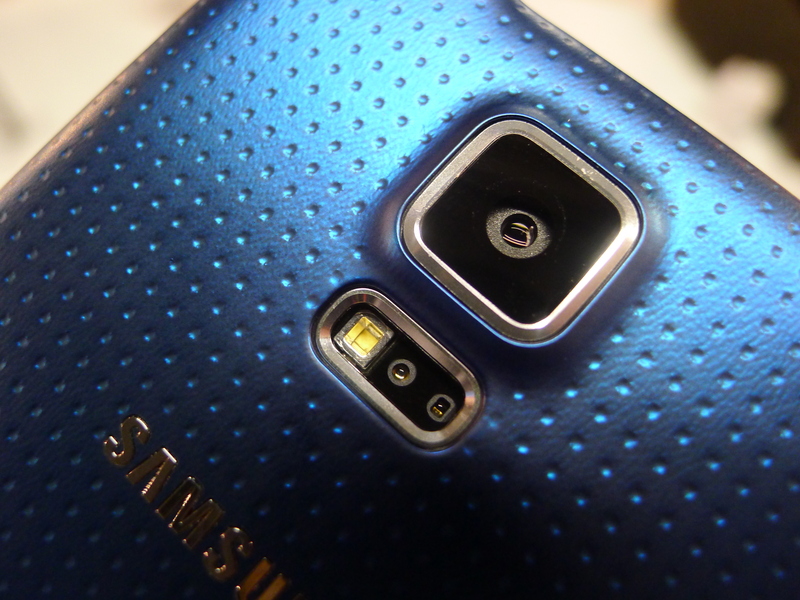 It’s just a pity Samsung didn’t gamble with a revolution instead.